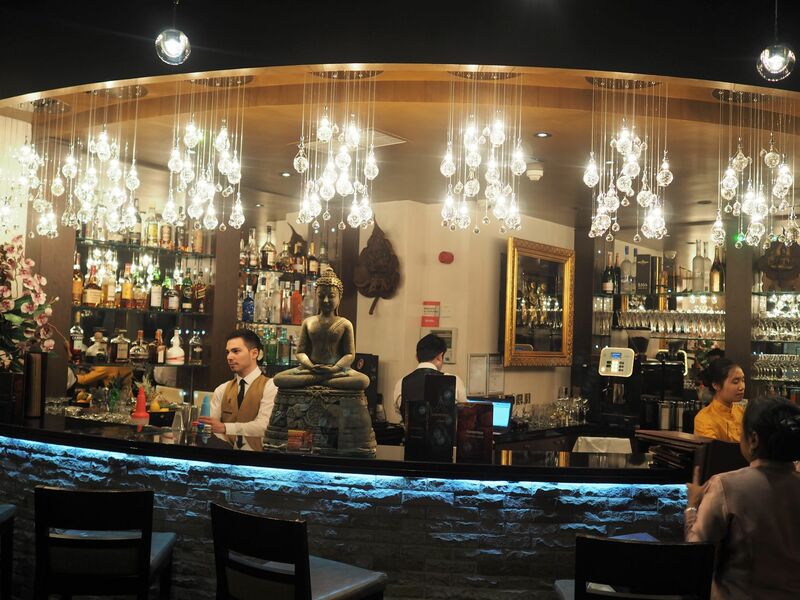 Sukhothai is a small chain of Thai restaurants in Leeds and Harrogate. 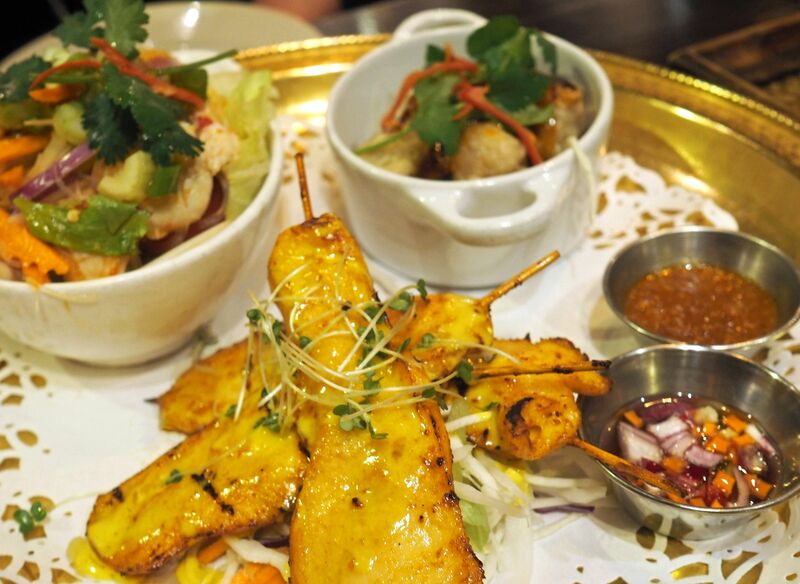 Head chef and owner Ban Kaewkraikhot relocated from Bangkok to the UK in the early noughties. 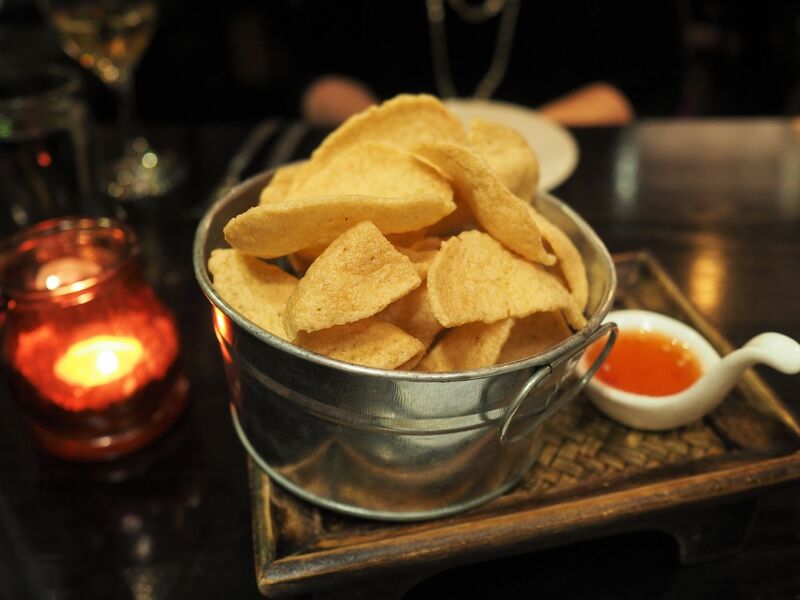 She credits Sukhothai’s success with outstanding service, an imaginative, authentic menu and fresh Thai ingredients. 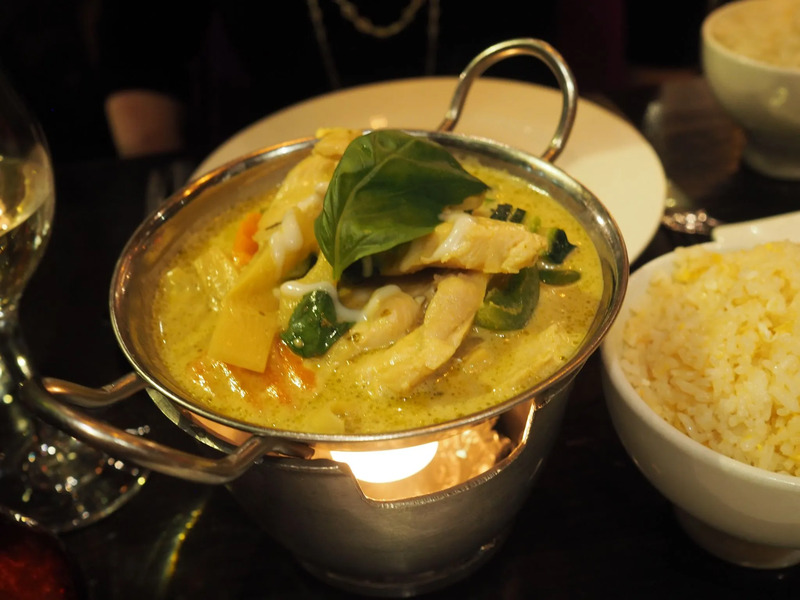 I was delighted when I was invited to review Sukhothai because Thai food is my favourite. I went to the restaurant in Leeds city centre last week with my friend Sally. 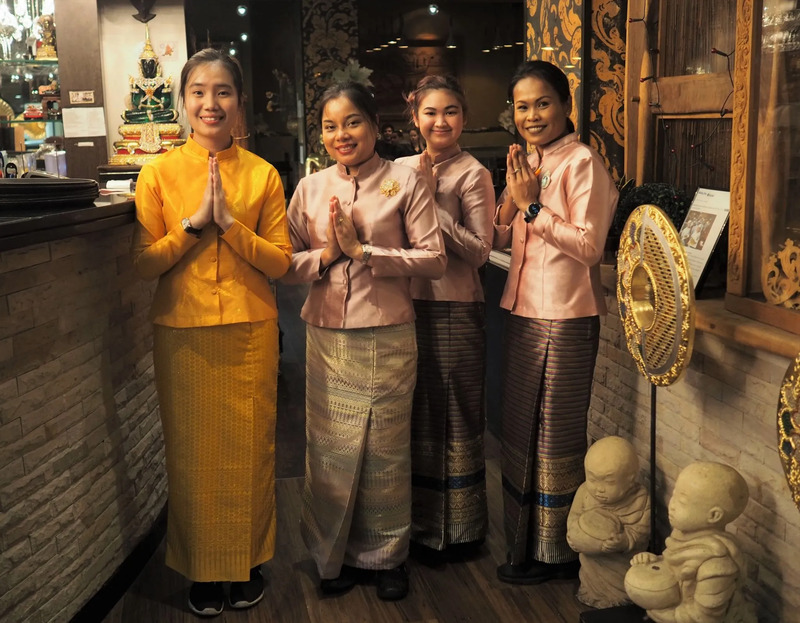 Sukhothai is just a few minutes’ walk from the railway station. It was sleeting and bitterly cold, so we were very glad of its convenient location. The menu is extensive. There are pages of appetisers, starters, main courses and side dishes and an excellent wine and drinks menu. We were both truly spoiled for choice so decided to have a set menu, priced at £29.50 each. 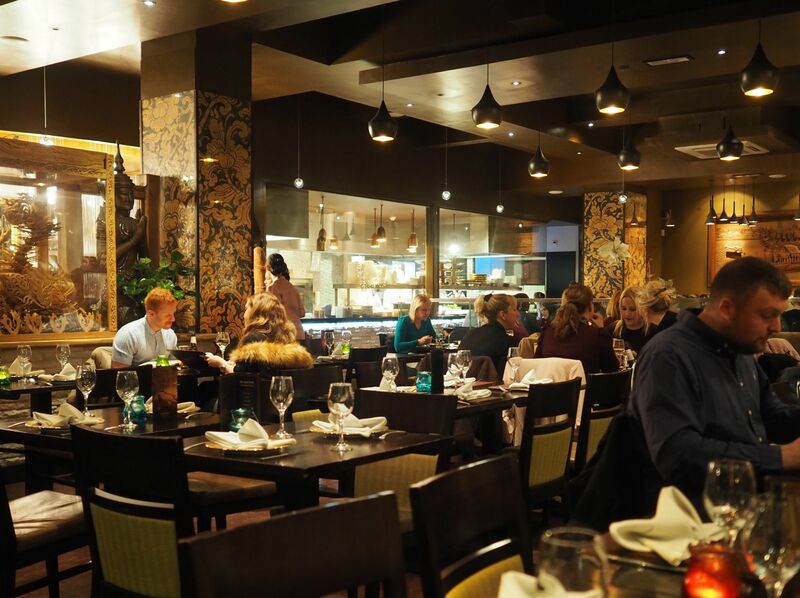 This gave us an excellent selection and the perfect opportunity to try several dishes. 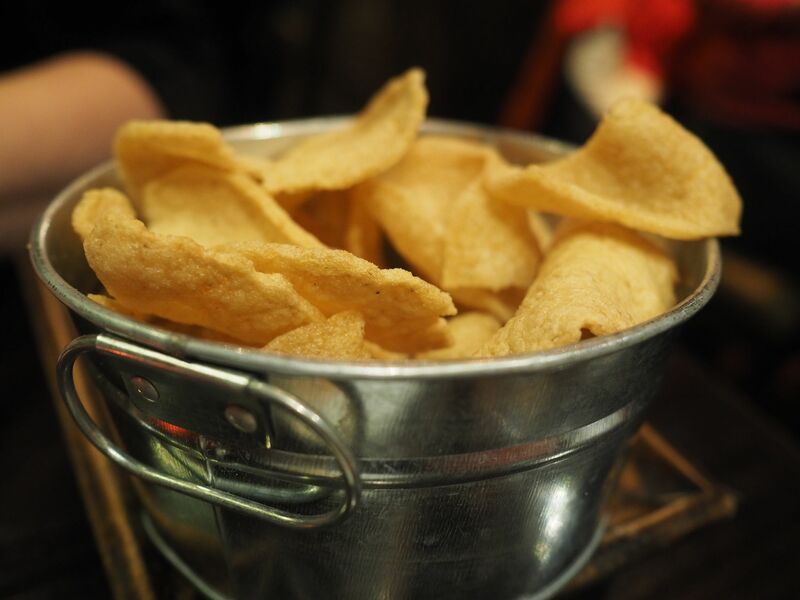 For starters, we had khow kreb tod, (deep-fried prawn crackers with sweet chilli sauce). They were incredibly fresh, light and crisp. The other starters were satay gai (marinated chicken with peanut sauce) and khanom jeeb (pork and prawn dumplings served in a soy sauce). I love chicken satay anyway and always order it when I have Thai food. Again, it was beautifully fresh and tender; the best I’ve ever tasted. The dumplings were light and absolutely full of flavour. With these dishes came the fabulously named yum wun sen ghai. This is a bean thread noodle salad mixed with chicken, onion and coriander. Like everything else, it was an exquisite blend of flavours and textures. If you’ve read any of my other restaurant reviews, you’ll know that I have a very healthy appetite. I simply love food and I love eating out. Sally is of the same mindset and we always enjoy the opportunity to try new places and to take time to sit, chat and savour. 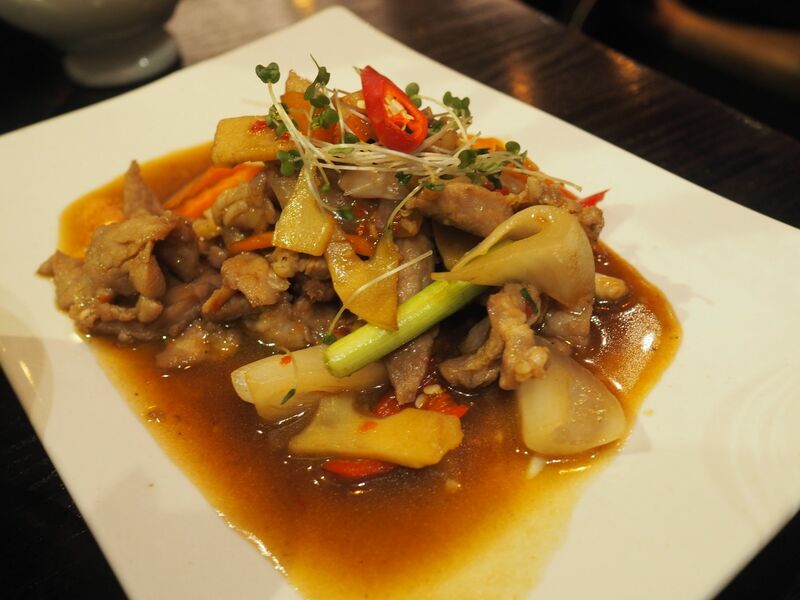 The main dishes were gang kiew wan gai, (green curry) and pad prik moo (stir-fried pork with chilli). 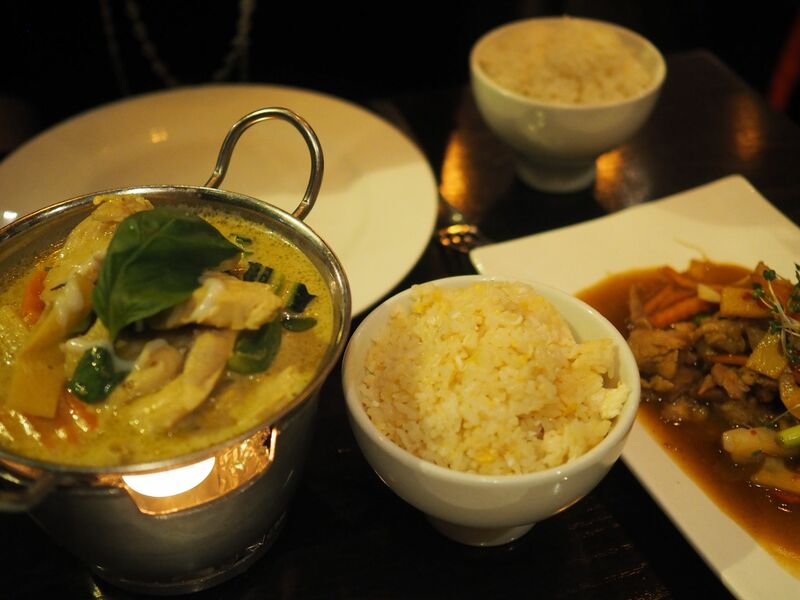 Thai chicken curry, either red or green, is another of my favourites. It was unbeatable and I honestly could have eaten the whole lot! We egg-fried rice and boiled jasmine rice to accompany. I’m running out of superlatives to describe the food. Exquisite. Aromatic. Divine. Delectable. It was all exceptional. 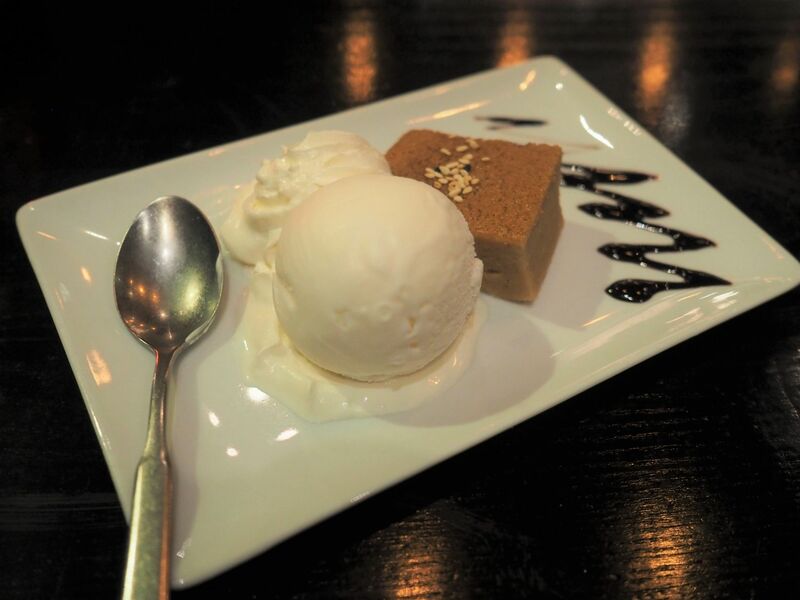 Dessert was included in the set menu; Thai custard with vanilla ice-cream. It was light and delicate with enough flavour to hold its own after the incredible preceeding courses. Sukhothai in Leeds is a fabulous restaurant. The food is second to none and the staff were simply wonderful. It is clear that the ingredients are fresh and that the dishes are freshly prepared. 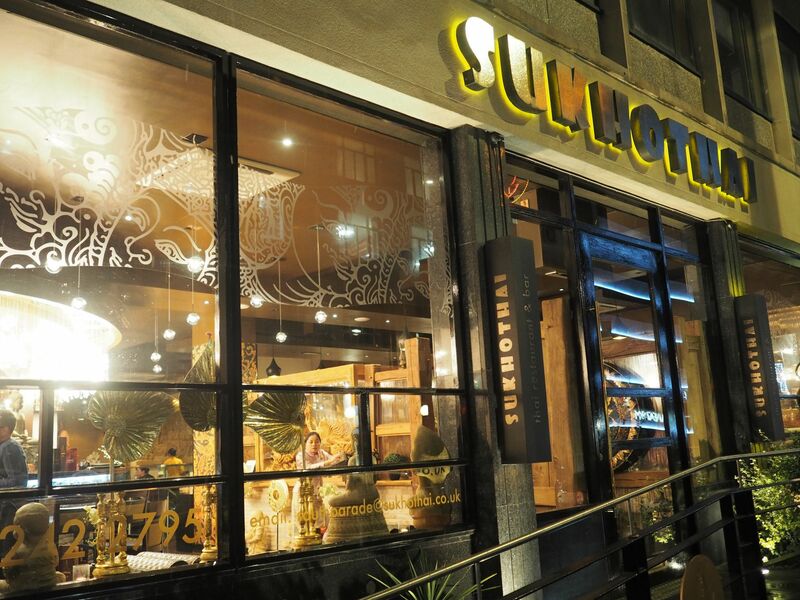 Thank you very much to Sukhothai for sending vouchers and inviting us to review the restaurant. It was outstanding in every way. The food was exquisite, the service was impeccable and the ambience and decor within the restaurant are fabulous. I highly highly recommend it. Previous Post Christmas Gift Guide: What Lizzy Loves, Uses And Wears. Next Post How To Keep Warm And Look Stylish (In The Snow).